Need to get out of the house!?! Here is a list of some Fun things to do for all ages! Mini Golf~ So many to choose from and ton of new ones that have opened up that we need to go and Explore. But I will let you in on one of our long time favorite. World of Golf! The have a mini golf course, custom club fitting, bar, menu, and driving range. They go all out for Halloween and make it a memorable time! Check them out and see all the weekly things they have going on! Bowling~ We typically just go to Harmony Bowl and they have some yummy appetizers. If you are in the area Summit Bowling is a lot of fun and has other things to do there as well like VR and laser tag. From April 8th-Oct.31st they have free bowling and you can sign up here. Overdrive Raceway~ This is High Speed Go Kart Indoor Racing. You can just go and have a good time with some friends or you can throw a party! Manitou Arcade~ This so much fun!!! It brings the kid out in me every time we go. This is a place you take all your out of State friends and family. Not only do they have the arcade but they have a park next to a creek, shopping galore and if you might find some live entertainment! Garden of the Gods~ Here is a place to Explore. They have many different trails and beautiful rock formations. So many choose to get their pics taken here. The Visitor Center is always a huge hit! If you can’t hike through all of it.. The Drive is very Enjoyable as well! Definitely stop and see the Balancing Rock! Butterfly Pavilion~ This one is a bit of a drive. If you liked this page you might also like some other similar pages we put together! 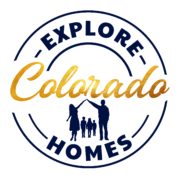 Go Check out Explore Colorado Hikes, Museums, and Parks for more to Explore!